Let’s face it — we’ve all got mouths to feed. 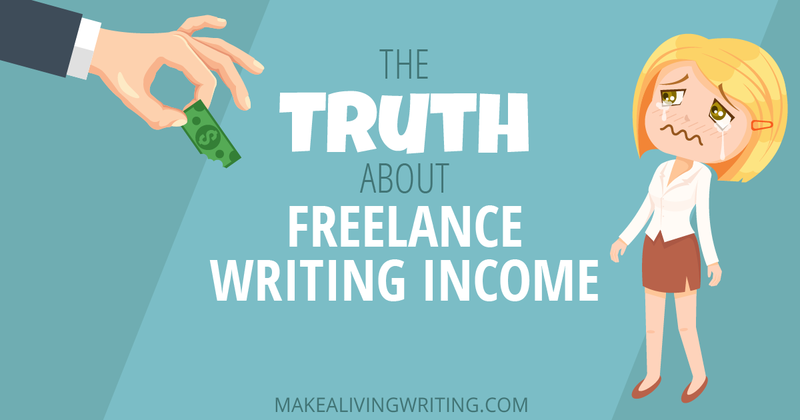 So it’s important to get a sense of whether freelance writing can yield you a real, bill-paying level of income. It’s a good question to ask. There are two steps to figuring out the answer to this question. The first is to find survey data on what freelancers make. That gives you a sense of what’s possible, and what’s typical. The second step is a bit harder, so let’s start with data. It was an evening like any other… poking around on Amazon. But tonight was different. There, before me, in all its glory, was my new e-book with someone else’s name on it! Thus began an emotional roller coaster of confusion, shock and anger. “Ojuola Infotech” had come to my website, downloaded my newly finished e-book, and put his name on Pricing Basics for Copywriters & Consultants: Meet Your Income Goals — Guaranteed! Worse yet, it wasn’t just that my e-book was stolen. He stole my brand as well. CHRIS NOTES was now OJUOLA NOTES. Did I see red? You know it. And it cost me emotional turmoil, enormous amounts of time, and lost income to do what I did next. Namely… I went after him. But not before I got my e-book back… and my authorship. I’ve been dealing with this professional tragedy for nearly five months, and I’m still not finished. Because I don’t want you to suffer an experience like this, I’m going to give you my top five newly learned tips for protecting your work, so the Ojuolas of the world can’t hurt you.